Combining nuanced, balanced flavors with Keurig-like convenience, the American Press is an entirely new way to brew a cup of coffee. You use it by pressing down on the top, forcing your water through a patented reusable pod and up to the top, where it's ready to pour. A 100-micron steel filter ensures you won't end up with sediment in your joe, and the pressure-based brewing process leaves you with an espresso-inspired flavor profile that's less bitter than a cup of French Press. 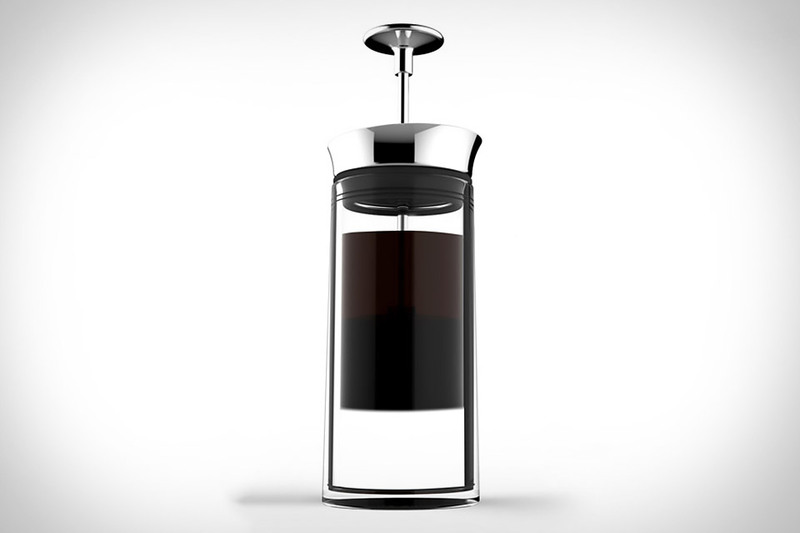 Its double-wall Tritan carafe can handle up to 14 ounces of coffee at a time. You likely enjoy the convenience of coffee pods but are tired of the months-old coffee that most pods contain. That's where Cups Coffee Pods come in. They source specialty-grade coffee that is hand-picked at peak ripeness. Then they roast the coffee in small batches and package it in recyclable K-Cup pods before delivering it to your door within days of roasting. And with each delivery of 30 pods, they'll throw in a sleeve of fully recyclable to-go cups and lids for free. Not to be confused with cold brew coffee, Matchless Coffee Soda is a locally roasted, flash-chilled coffee that is lightly sweetened and carbonated before canning. They don't dilute the product with seltzer, soda water, or fruit juice and its brewed in large batches for an optimal extraction rate so the coffee's base origin is fully expressed. Best served over ice with a citrus peel. Harvested from small farms in Chiapas, Mexico, Texas Brand Coffee is made in limited quantities and arrives in these standout pewter labeled, French-made aluminum bottles. The coffee beans themselves are roasted, ground, and bottled by Big Bend Roasters in Marfa, Texas and sold exclusively for No. 4 St. James. Each bottle holds 1/2 pound of coffee which is enough to make about sixteen cups of java. Brewing great coffee at home should be easy. So the folks at La Colombe Coffee Roasters have created a product that's the next best thing to visiting a cafe. The La Colombe Coffee Vault includes eight Coffee Vaults that are each good for a full pot of fresh java. Each one is pre-measured, pre-ground, and then preserved and pressurized for same-day freshness when you pop the top. The Corsica blend comes standard, rich in cocoa notes and ideal for a run through your filter coffee maker at home. Each vault has a shelf life of up to three months and tastes like it was roasted and ground the day you open one. For those who need more than your average amount of caffeine, there's Death Wish Coffee, one of the strongest in the world. And for those with the same caffeine needs who might be a little more active or have an aversion to hot drinks, Death Wish now offers a canned nitro cold brew as well. They take Death Wish Coffee and infuse it with nitrogen before filling these 11oz cans which are sold in four packs. No sugar, cream, or preservatives are added, but if it's not the strongest coffee you've ever had, Death Wish will give you your money back. Most of us rely on caffeine to kick start our day. But knowing how much to consume, and being able to combine it with ingredients that aren't terrible for you is tricky. Bizzy Coffee Shots helps solve these problems with their small but powerful bottles of liquid energy. Each one contains high-quality Arabica coffee from Central and South America along with water, and that's it. So no additives, sweeteners, or preservatives. Using a unique cold-brewing process, each Bizzy Shot contains 130-150mg of caffeine, which is equal to about two shots of espresso. Easy to pocket and bring anywhere, these zero calorie shots come in caramel, vanilla, or black coffee flavors.